A third explosion in Missouri on Panhandle Eastern’s 200 Line in six years. Panhandle is the parent company of Florida Gas Transmission (FGT), famous for throwing a pipe across the Florida Turnpike in 2009, near a high school. 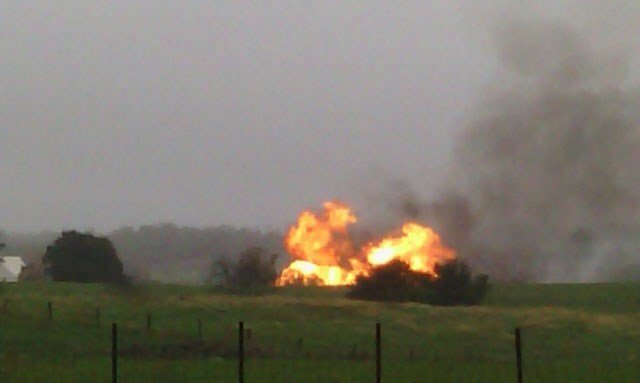 JOHNSON COUNTY, MO (KCTV) – Emergency crews are on the scene of a pipeline rupture and fire near Centerview, MO. The location is Northwest 701 Road and Northwest Division Road. This is a rural area with no homes threatened.